Foundation Masters, LLC want to first thank Waterstone City Homes, Inc. for choosing Foundation Masters, LLC to install a deep foundation system for your new construction swimming pool project. We always enjoy working on your projects and were proud to be a part of your team! 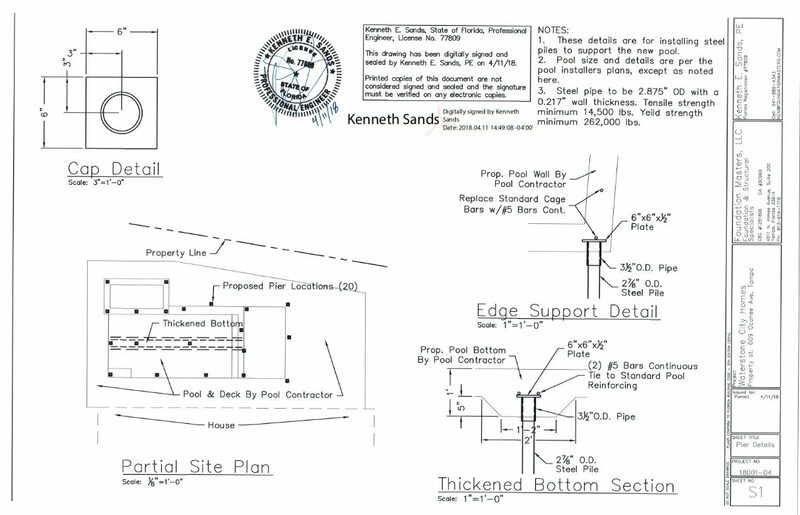 Foundation Masters, LLC has (2) active in good standings life-time transferable Warranties on this property for the swimming pool deep foundation system as seen in the drawings below and a deep foundation system for the home. See the google review by the homeowner or Builder! 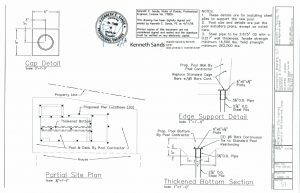 I just wanted you to know that we truly enjoy working with you and feel honored to be your chosen Engineer and Contractor to complete this deep foundation system for the swimming pool and home. Foundation Masters, LLC is the #1 ENGINEERING COMPANY IN FLORIDA specializing in Foundation & Structural Repair! For more info on pipe piles click here.